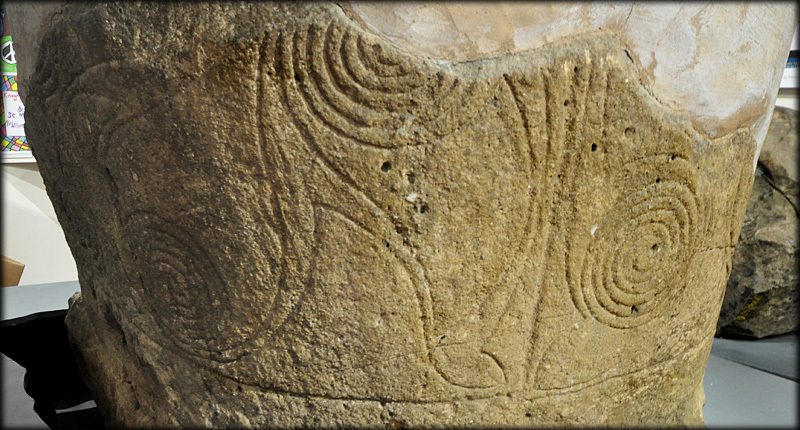 This Iron age monument is decorated with a typical La Tene style curvilinear design that dates the stone to between 400 BCE-100 CE. There are only a hand full of stones with this form of decoration in Ireland and they are all thought to be cult stones. This particular design is very similar to the Derrykeighan stone on display in the Ulster Museum. Two other decorated stones dating to this period are the Turoe stone in County Galway and the Castlestrange stone in County Roscommon. 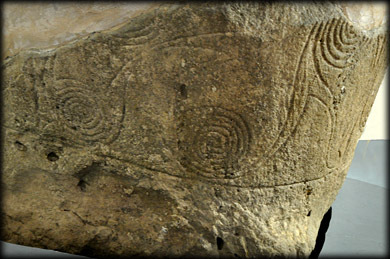 A fifth stone with La Tene Style decoration was found at Mullamast in County Kildare, but this stone is from a much later period. 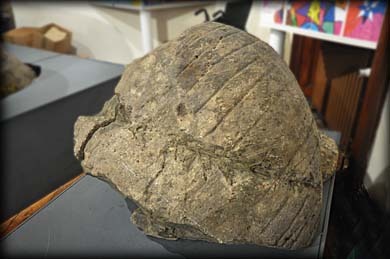 The stone was found buried near a stone circle in Killycluggin Townland. It is believed by some to represent the idol known as Crom Crúaich and may have been phallic. At some time the stone was broken into two pieces and both parts buried. Local tradition points to St Patrick being the person who pounded the stone with a hammer. The first part was discovered in 1921 and the other half was not found until 1954. This wonderfully decorated stone is rather poorly and unsympathetically displayed in the Cavan County Museum in Ballyjamesduff. A very poor replica of the stone has been placed on the side of the road about 300 metres from the site of the stone circle. 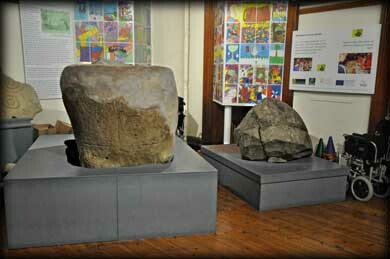 Situated: Now situated in the Cavan County Museum, Ballyjamesduff.